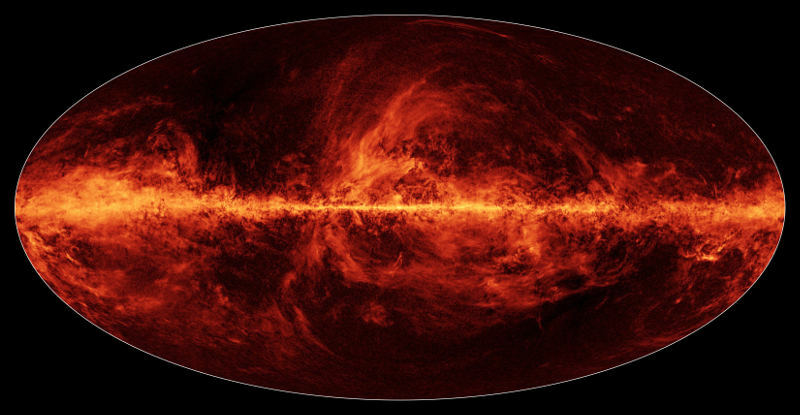 Scientists are busy trying to interpret some of the data collected by the European Space Agency’s Planck mission and other telescopes seeking the hard to detect “curly” polarized light called B-modes which may originate from the very first moments of the birth of the universe. 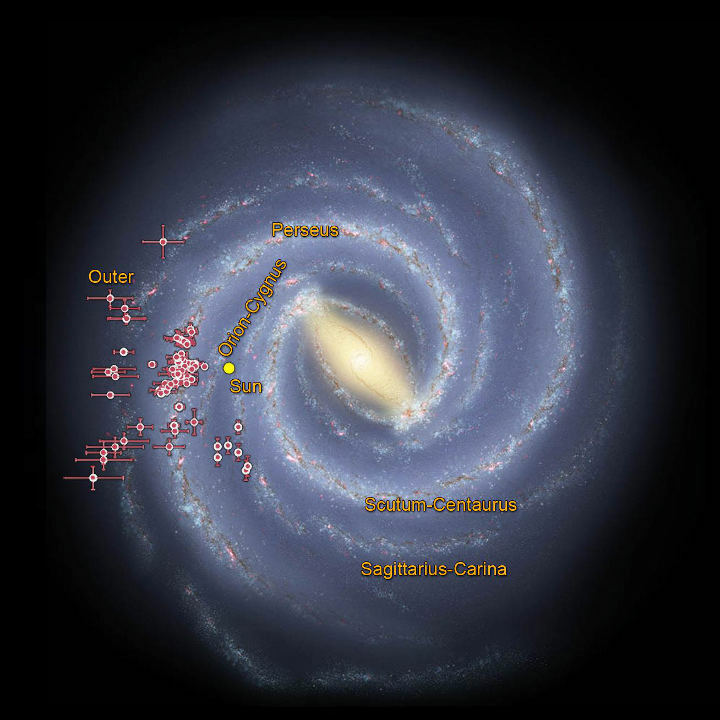 But in order to do so they must first sift through all the polarizing light, like this image which shows all the polarized dust in the Milky Way galaxy. This picture uses data that Planck was able to collect thanks to special instrumentation that can detect polarized light. This includes light of 353 gigahertz or 0.85-millimeter wavelengths, which is longer than what we see with our eyes. The central part of this picture of the Milky Way galaxy, as taken by NASA’s Spitzer Space Telescope, shows an amazing feature of our universe. 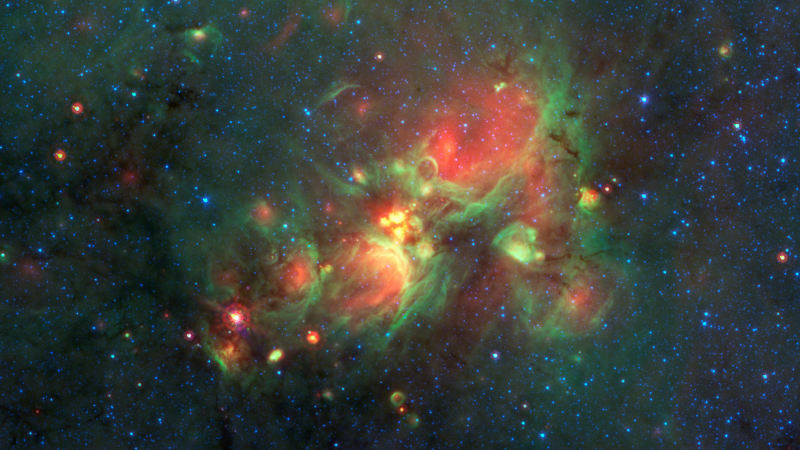 The yellow parts of the infrared image, referred to as “yellowballs” by researchers, represent a phase of massive star formation in the galaxy. They are at an intermediary stage of massive star formation taking place before these stars create an emptiness in the surrounding gas and dust. These yellowballs are many times (100s or 1000s) the size of our solar system.